Tuesday 12th January 2016 marked the beginning of the celebrations in honour of the Royal Aeronautical Society’s (RAeS) 150th Anniversary. The festivities started in style, with a lively dinner and debate held at RAeS HQ at 4 Hamilton Place in London Mayfair. The motion for the evening was ’there will be no need for pilots in 40 years from now’. Opposing the motion were Andrew Haines, Chief Executive for the CAA; Jim Mc Auslan, General Secretary for BALPA, the pilots association; and Chris Browne COO for the TUI Group. Supporting the motion were Andrew Tyler, Chief Executive UK & Europe for Northrop Grumman; Tom Captain, Principal -Aerospace & Defence, Deloitte LLP; and Chris Allam, Engineering and Programme Management Director at BAE Systems. [Note that I have not followed strictly the chronology of the debate in my account below, but structured the argument around 4 main points]. The debate started with the supporters of the motion, led by Tom Captain, noting that labour costs account for 25% of airline operational costs, with pilots representing a significant proportion of those. Opposing the motion Chris Browne and team promptly retorted that the cost of a crew could be as little as £4 per passenger for a low-cost airline, representing value for money per passenger. The economics stance of the proposers seemed therefore to be rapidly undermined, taken at face value. It is likely however that the labour costs between low cost and traditional carriers are very different and the argument is therefore inconclusive without further examination of the data; also worthy of note here is the fact that no low cost airline operates regular international routes for example. It is also important not to overlook the social and economic implications of employment and the whole operational side of air transport in this debate either; and the consequences of making the job of pilot obsolete. Tube trains in London still have drivers today for example. Change even if technologically possible is not always possible on socio-economics grounds, at least not quickly. Transition takes time and the economics alone does not and cannot justify all changes. Another reason to support the motion, according to Captain, is on the ground of technological progress. Looking at the acceleration of technological innovation in aerospace, as noted by Turcat in relation to Concorde in the 1970s, we are probably at the turning point of another such technological acceleration, not least with the electrification and indeed the automation happening in aerospace and in the broader transport sector. More and more pilots are playing the role of a systems manager, a thought supported by a veteran pilot of 12,500 flying hours in the audience on Tuesday night, who stated that he had often been ‘bored’ in the cockpit. In support of the motion, Chris Allam pointed out the relative meagre computing capacity of humans compared to current and future computers, making the case for Artificial Intelligence (AI) –such systems will have the ability to examine all opportunities and compare against all past lessons well inside the 5 seconds it took the pilot, Chelsey Sullenberger, to decide to ditch the stricken US Airways flight 1549 in the Hudson River in the now famous 2009 incident; therefore dismissing the need for a heroic pilot dear to the compere for the night, Jeremy Vine. Andrew Tyler accelerated the pace of the argument with a bold statement. ’Why are we waiting 40 years? !’ he started. Taking the example of the U2 spy plane (manned) versus his own Northrop Grumann Global Hawk UAS, he noted that already today an air force could get twice the flying hours for half the cost, without the limitations tied to having a human being in the cockpit; as well as all the design and safety constraints that came with it. 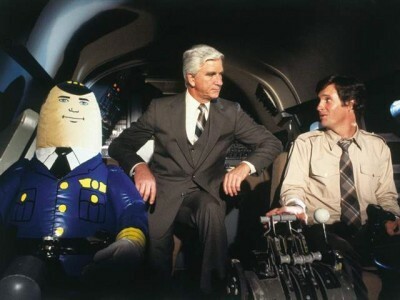 In favour of the motion Tom Captain also reported that 50% of accidents were indeed attributed to pilot errors. Crews are arguably getting into a routine and becoming more reliant on automation are not necessarily able to fulfil the ultimate safety function attributed to them by Chris Browne and her team. However, automation is not a sinecure and a member of the audience challenged Captain’s assessment here, pointing out that research figures from the US MoD could be read as indicating a 300% increase in errors brought up by automation on UAVs for example (Note: if I heard the figure well). At this point in the debate, Chris Browne, responded for the opposition, arguing that we were trying to fix a problem that simply did not exist as she developed a more ’emotional’ argument. She insisted that the guardian angel role (see above) played by pilots was vital and asked the audience to consider the number of cases in which crews had actually saved an aircraft and the passengers it carried. She stated: ‘the reliability of humans is pretty amazing!’. Emphasising the point made by Browne, Jim McAuslan noted that pilots are a reassuring presence to passengers and also to crews, before stating that ’Even George Lucas made the Millennium Flacon a two crew spaceship!’, adding, ‘…even if the second one was an ape!’. Closing the pitches for the evening for the opposition, Andrew Haines emphasised that the supporters of the motion had got it wrong –on economics grounds alone for example, if customers demanded a pilot, the business model was simple. He also noted that the team in favour of the motion had done a fatal error in not addressing the ‘exam question’. He is partially right here in my opinion for the motion does not mention that the pilot will actually be on board the aircraft for example! We could therefore imagine a control room with ‘pilots’ monitoring unmanned airliners. Could this offer the right compromise, I wondered? One very strong point made by Chris Browne at the end of the debate is that we humans are sociable creatures and a crew, in particular the captain, play an important commercial role as part of the experience and service provided to passengers. This should not be neglected. How will computers make conflictual decisions in a way humans can, with emotion and morality, as well as logic? What would be the cost of such technology and is it likely to offset the cost of crews? How does the economics stack up for unmanned aircraft and how does it compared to the costs of pilots as part of an airline operation for example? How will we provide the safeguards to validate all those automated systems? How will insurance be computed and made available? Whose responsibility flying and operating such an aircraft will be? How will we provide security against cyber attacks or to deal with terrorism? In a future such as this what would be the role of humans in aviation? Summing up for their teams, Chris Browne emphasised that human interaction was a critical part of the human condition and of commercial service while Tom Captain noted that it was difficult to imagine what the world would look like 40 years for now. In the end the supporters of the motion won the night. I was one of those that voted in favour of the motion too, I admit, and a poll run online by Tim Robinson for the RAeS showed a 90% vote in support of the motion the following day. We may well be flying without pilots on board in 40 years from now. On the eve of its anniversary the RAeS provided a lively evening to remind itself and us all of why such societies remain as relevant as ever 150 years after their inception. 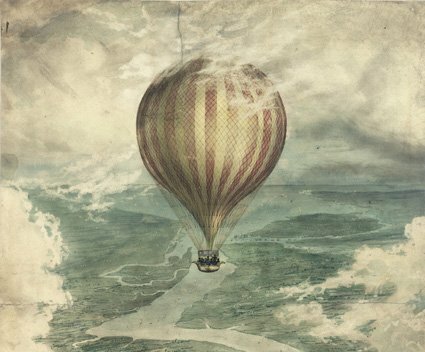 Note: featured image of the hot air ballon, above. from Tim Robinson, RAeS, and image of Airplane! (below) from Google. The text has benefited from great editing by Victoria Macfarlane at the IAT.